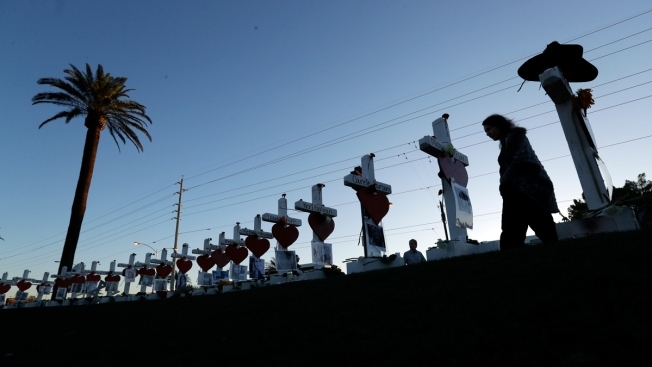 In this Oct. 6, 2017, file photo, Manuela Barela passes crosses set up to honor those killed during the mass shooting in Las Vegas. A $31.5 million victims' fund that started as a GoFundMe effort announced plans Friday to pay $275,000 to the families of each of the 58 people killed in the deadliest mass shooting in modern U.S. history. The Las Vegas Victims Fund said the maximum $275,000 also will be paid to 10 other people who were paralyzed or suffered permanent brain damage in the Oct. 1 shooting on the Las Vegas Strip. The nonprofit posted a chart projecting payments on a scale to a total of 532 people, including more than $10 million divided among 147 people who were hospitalized. "In no way can it replace someone's life," said Al Etcheber, the brother-in-law of Stacee Etcheber, who died when a gunman fired from a high-rise casino hotel into a country music festival below. "Still, it is a real nice way to help families who lost someone they loved." 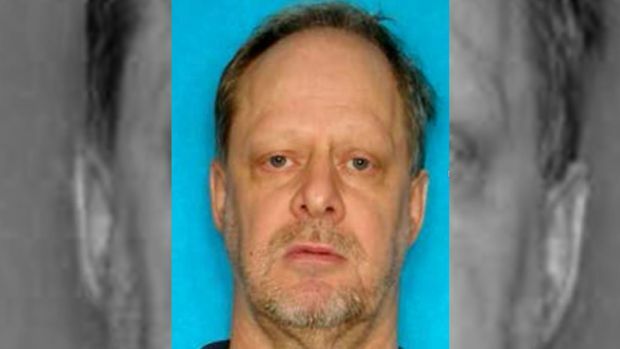 Investigators say Las Vegas gunman Stephen Paddock expected to survive his shooting spree, and may have had an accomplice. 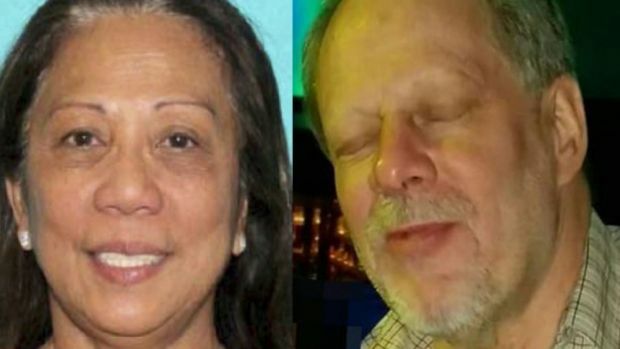 The FBI says there are still no clues about what might have pushed a retired real estate investor and professional gambler to murder 58 people and wound close to 500 others during Sunday's attack on a Las Vegas country music festival. Stacee Etcheber was married to Al's brother, San Francisco Police Officer Vincent Etcheber. The 50-year-old mother of two children worked as a hairdresser in Novato, California. Victims fund spokesman Howard Stutz said the nonprofit expects to pay 100 percent of the funds raised, with payouts beginning Monday. Police say 851 people were hurt by gunfire or other injuries while fleeing. The fund grew into a nonprofit corporation that reported receiving more than 90,000 donations, with nearly 40 percent coming from southern Nevada gambling, tourism and entertainment companies. Students, faculty and staff at a high school in suburban Henderson raised more than $66,000 through T-shirt sales, and a Vegas Strong benefit concert that raised nearly $700,000. Disbursements were determined by a committee of victim advocates, mental health and medical professionals, lawyers, donors and others. The committee held two town hall meetings to hear from victims and their families. Authorities investigating the Las Vegas mass shooting are now reconstructing the movements of Stephen Paddock and exploring the possibility he had considered other music festivals or large events before he chose Las Vegas. The committee reported reviewing more than 1,600 email and written comments, with advice from national experts, including victim compensation expert Kenneth Feinberg and the National Center for Victims of Crime.